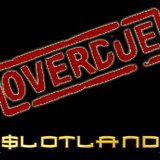 Slotland.com players are spinning the reels with extra enthusiasm these days as the all-slots-and-video-poker site’s progressive jackpot feels overdue for a big win and any spin could be the next winner. Hit, on average, every six to eight weeks, it’s now been two months since the last big win. Although it’s gone as high as $200K, the fairly punctual jackpot is usually won when it gets between $100K and $150K and it has just topped $150K. There’s no predicting when the next win will be, of course. That’s up to Lady Luck. But you can’t win the progressive unless you play the progressive. Since last March there have been six six-figure jackpot wins at Slotland.com. Two were won playing the popular Treasure Box slot machine but the Heavy Metal, Golden 8 and Booster slot machines have also produced big jackpot winners, as has the Jacks or Better video poker game. All of Slotland’s one-of-a-kind games are tied to the same jackpot pool, and so are all games on the mobile site (wap.slotland.com on phones and PDAs) and the Spanish site (Es.Slotland.com). So the next winner could be playing any of the 16 slot machines or three video poker games on the site. Slotland’s 3D casino site, WinADay.com, has a separate progressive jackpot which has had three six-figure winners of its own so far in 2009. Right now the WinADay.com jackpot is over $50,000.